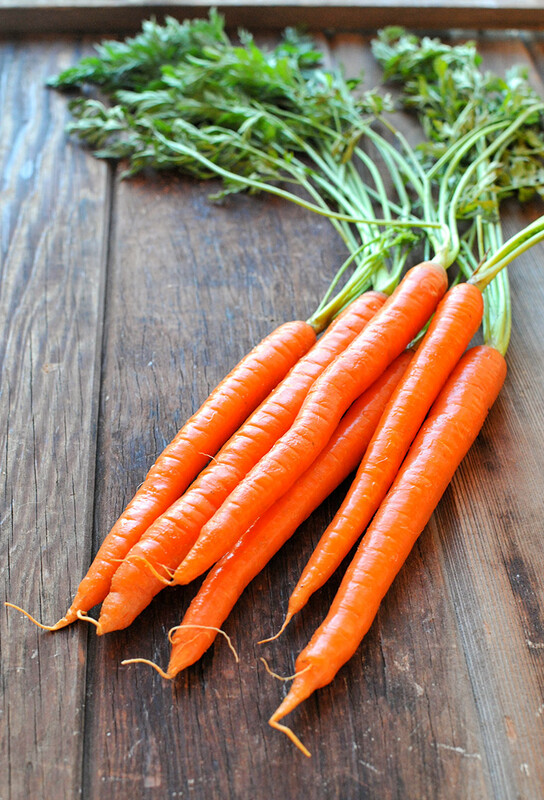 Carrots are so super versatile. And they're colorful. And they're delish. Speaking of carrots, did you notice my new super adorable logo (right up there at the top of the page)?!?!?! 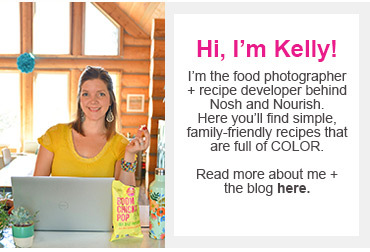 After 5 years, 1000+ recipes, and 2 cookbooks, Nosh and Nourish has finally gotten a new logo and facelift --- one that really reflects the COLORFUL aspect of my food and IG feed. 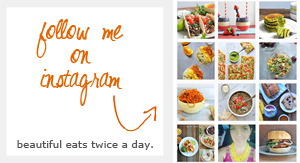 Do you follow me on Instagram? It's my favvvvvvvvv. 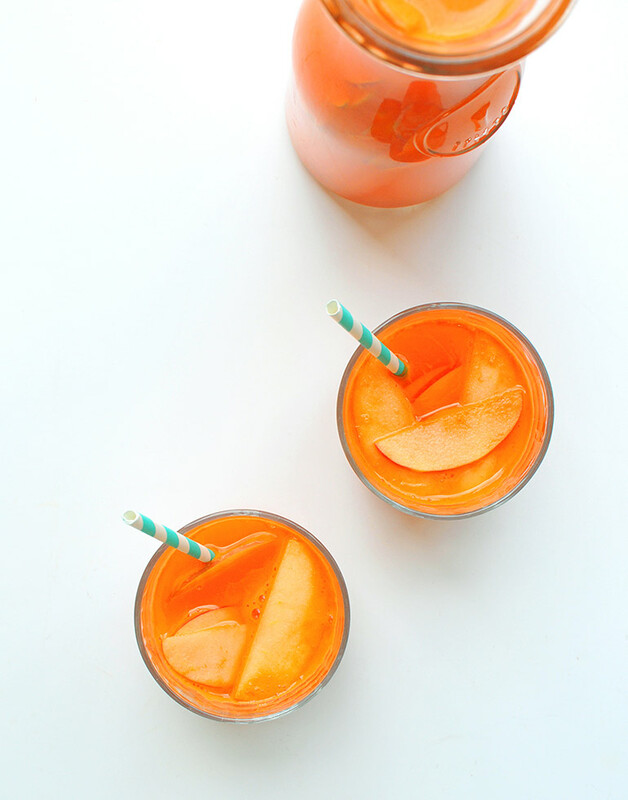 This is a truly unique cocktail that isn't just full of empty calories; it's packed with beta carotene + potassium! 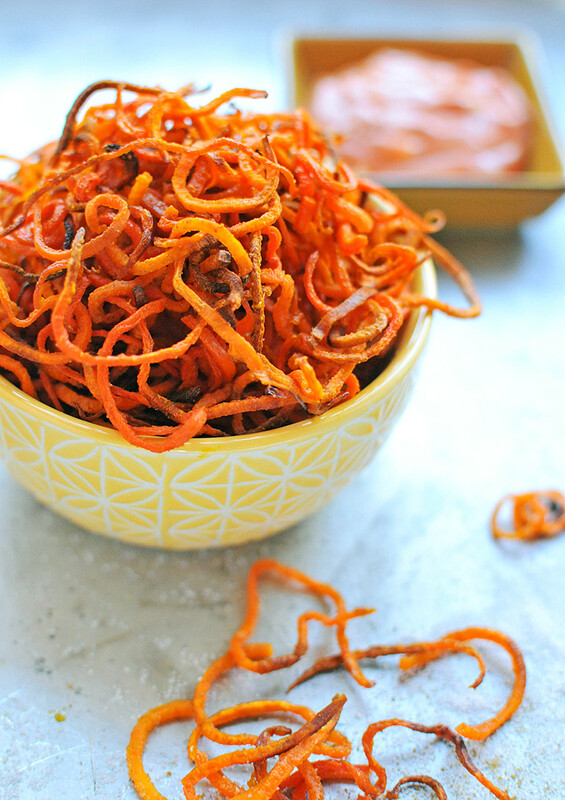 These fries are: healthier because they're baked, crispy + curly, and co-mingled (so you can't distinguish which are carrots and which are sweet potatoes). 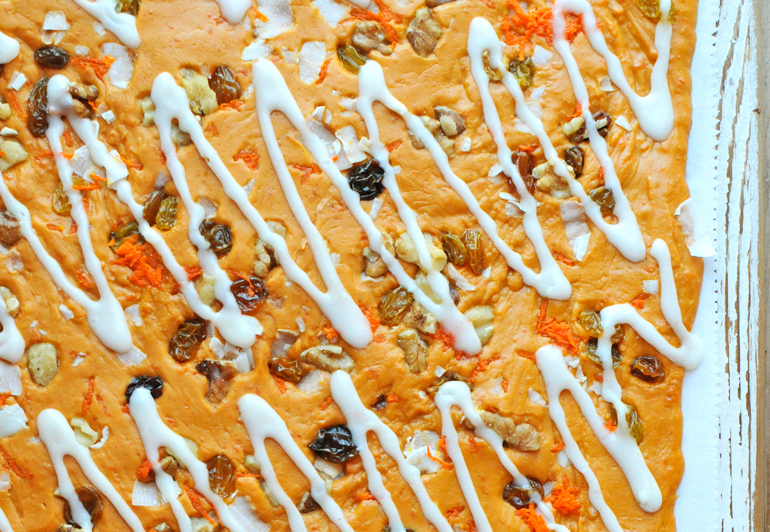 All of the yummy flavors and key components to carrot cake, but in bark form. Naturally gluten-free, completely delish. 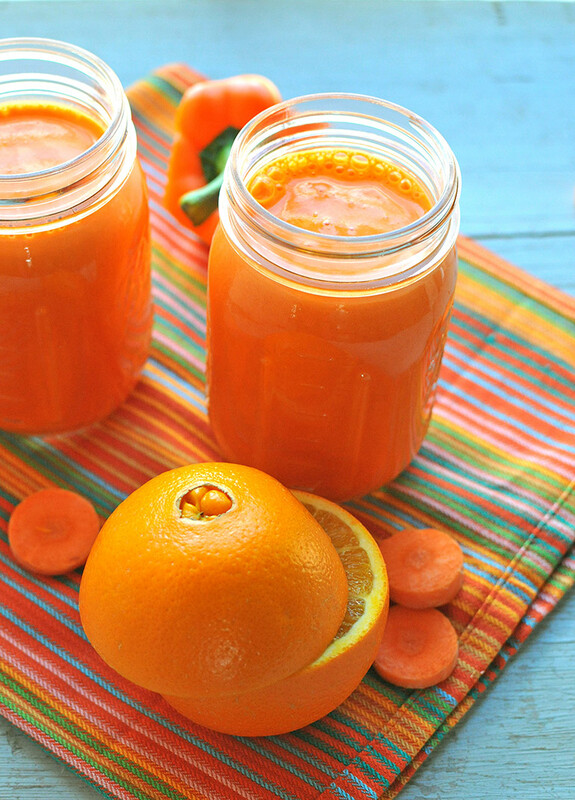 What's so super about the orange juice? All the hidden extra veggies and fruit: like sweet potato and carrots and even bell pepper!! 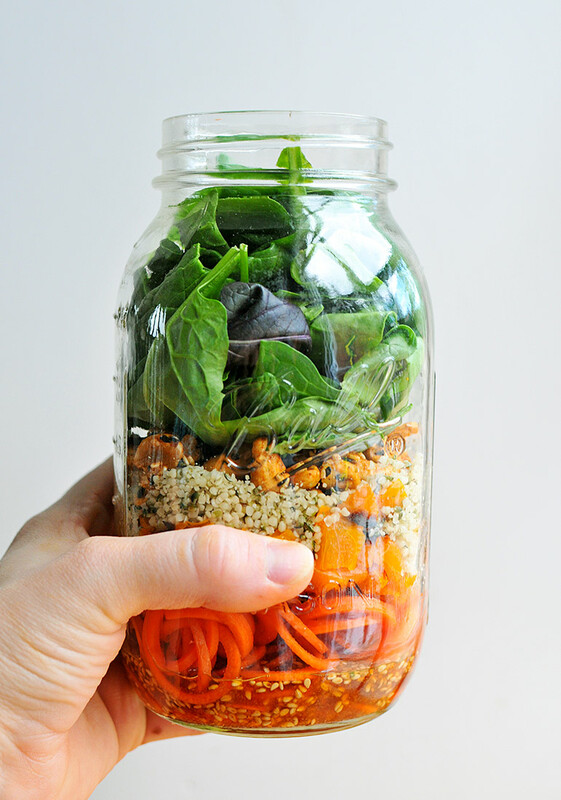 This salad is full of yummy veggies and plant-based protein like cashews and hemp seeds, then topped with a sweet chili vinaigrette. 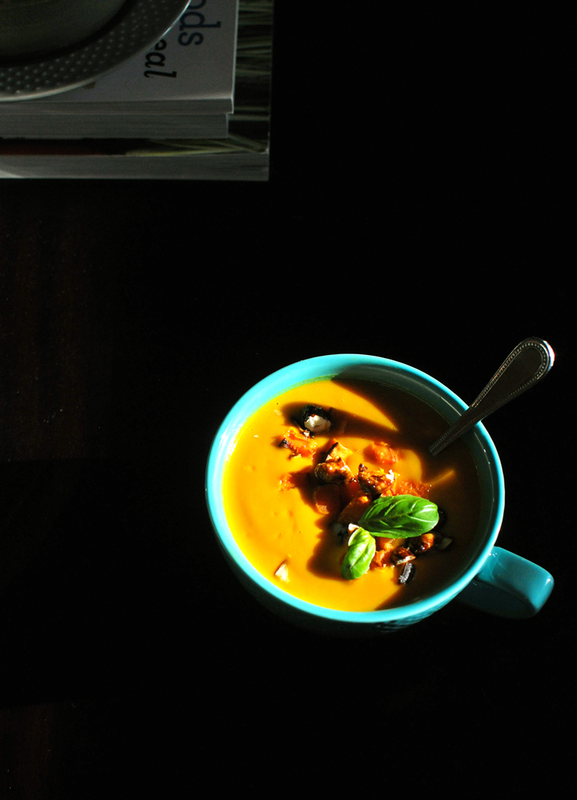 I have some caveats for eating overnight oats (which you can read here). These oats are the perfect way to start the day. And they wouldn't be complete without nourishing add-ins like cooked quinoa, walnuts, golden raisins, and cinnamon. 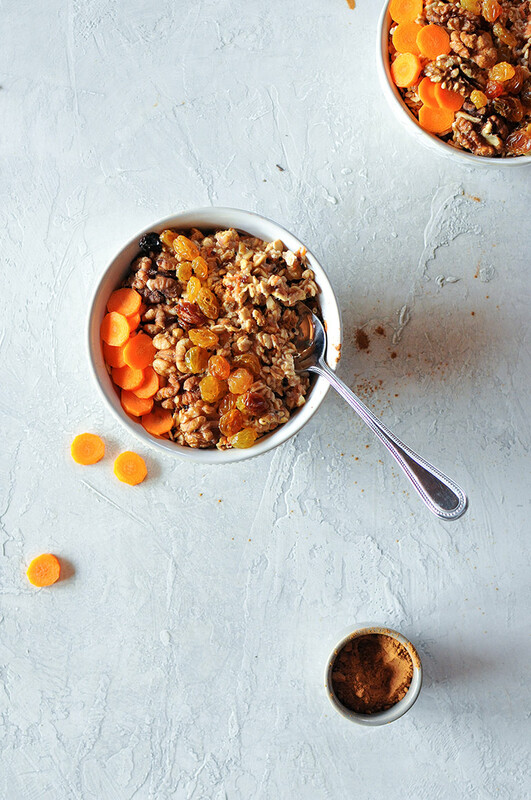 In a large jar or tupperware, combine the shredded carrots with the oats, quinoa, almondmilk, cinnamon, vanilla, walnuts and maple syrup. Stir until thoroughly mixed. Cover and refrigerate overnight (or at least 6 hours at minimum).